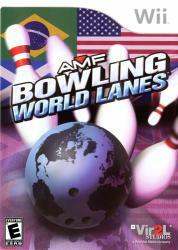 AMF Bowling World Lanes takes you on an exciting trip around the globe and beyond, as you bowl your way through eight fantastic locations. Strike up competition with up to three of your friends in Bowl Now mode or jump into Tournament Mode to challenge twelve unique characters. From the highlands of Scotland to outer space, this is your chance to become the world's greatest bowler.